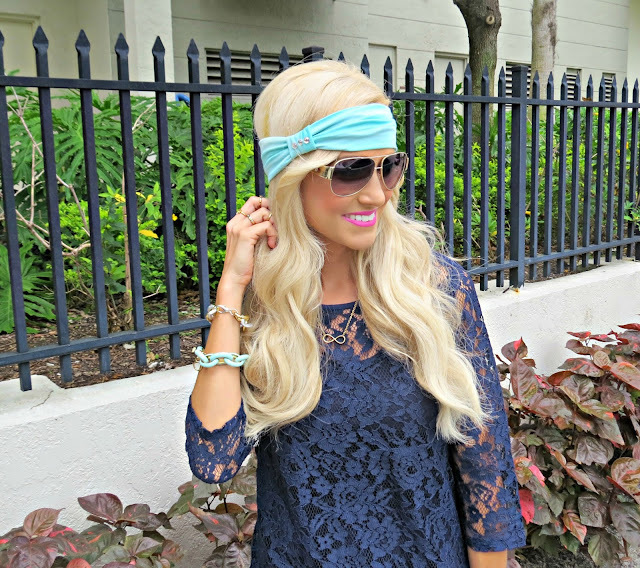 Today I am so excited to be teaming up with Lemons and Lace to bring you all a great giveaway! Lemons and Lace is a online handmade headband shop. They have the cutest headbands for women and babies that come in so many fun style and prints! There are so many I am craving! 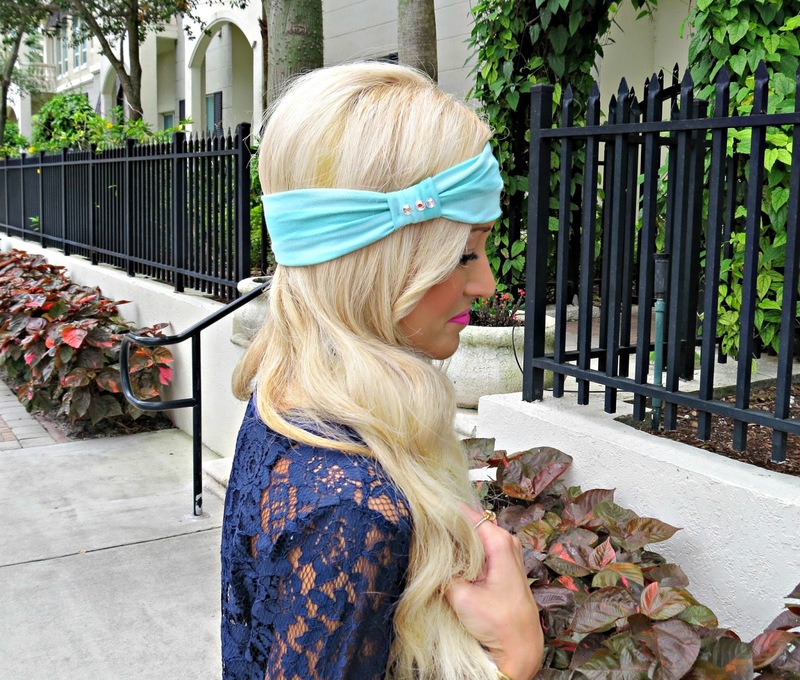 Lemons and Lace has offered to give one lucky Spoonful of Style reader one free headband of their choice! Good Luck! Love that top!! Such a cute outfit..
Super cute look. The navy is gorgeous with your blonde hair and bright pink lips! love your mixture of lace & denim! such a cute look especially with your signature bright pink lip! You always look gorg!! I love the headband and the whole look! I'm thinking I need to go find those amazing shoes.. Happy Friday! That lace top is so gorgeous on you Jade! I love the headband as well, thanks for the amazing giveaway.